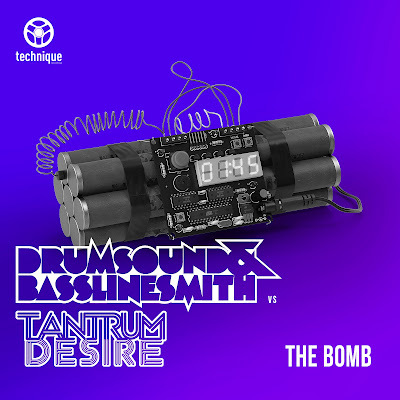 Drumsound & Bassline Smith vs Tantrum Desire – The Bomb – Technique Recordings. 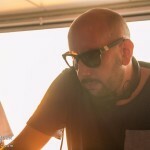 Given that Tantrum Desire has been one of the leading lights of Drumsound & Bassline Smith’s Technique Recordings for years, it’s surprising that there have been relatively few collaborations between them. So, since the announcement of their Technique International Sound live team-up, we’ve been breathlessly hoping that meant more DBS x TD sonic monsters would escape into the wild. And our prayers have been answered. Now, if you’re calling a track “The Bomb”, you’re clearly not here to play around. And, as this is the first time we’ve seen the Technique bosses’ names on a track alongside Tantrum Desire’s since their dynamite remix of TD’s “Pump”, expectations are skyscraper high. As wailing sirens, militant percussion, and an almost orchestral assault of bass explode onto the scene, we’ve got an intro to make you sit up and take notice straight from bar number one. Then that gigantic, multi-stage, acid-flavored rise towards the drop means that whatever’s on its way is already worthy of a wheel up. And then “The Bomb” drops. Steel-toed kicks and jaw-breaking snares hit hard, but they’re light on their feet, bouncing syncopated rhythms over the savagery of the bassline. And this tune isn’t done yet. Another huge build switches up the focus and delivers us into strident, glistening stabs to keep the vibe heated. This is a monumental release from a group of producers who, even after all this time in the top tier, are still able to find new ways to light up a rave. It’s multiple-megaton DnB.